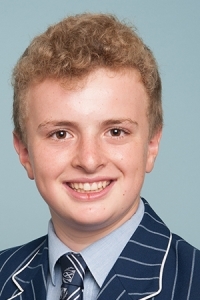 This guest post first appeared on iStart – Technology in Business (please click through to read the preface by Ben Kepes) and features an insightful summary by Year 10 student Yonni Kepes on the impact of technology in society today. “As the world goes through a digital transformation and disruption, we must remember what will actually be changing. For me digital transformation means changing from an old manual way of doing things to a new system that uses technology to do business in new ways. Jobs will be replaced by new, different applications of technology and it will be my generation that will be filling many of these posts. “I think the biggest challenge for us will be understanding the extent of the transformation. For example, we weren’t around when taxis were one of the main types of transport for hire, so we never saw the industry fully function with no Uber to challenge it. And although we are in this transformation we will never see the end result – it is part of an unprecedented, continual and rapid change. I believe that makes it a lot harder for my generation to understand the changes and to know where they should look for and find good jobs which are secure. A good company attracts good employees to enjoyable jobs. Employees who are flexible and like learning new skills, and employers that support them are what make a good place to work. If my generation wants to still be employed in jobs like these, then we need to learn these new technology-based skills and use them as best we can. It is also important that customers get to have a say when looking at business. Since my generation is the future consumer, we can offer great advice that will help shape the future of businesses. “I also believe that as we slowly transition in to a digital world of some sort we will have our lives changed a lot by digital innovation. People now have too many “devices” in their homes, with the average number per person at nearly five. It’s a worry that more household items will be swapped for more devices with some sort of transmitter in them. The reason for my concern is because the devices will ‘take over’ people’s lives. Although having more devices per person is, in my opinion, a bad thing, they do have their benefits. These devices can now stay in contact with their owners and tell them, for example, when dinner is ready, what’s happening with the washing, or the temperature of the bath; little things in isolation, but with the potential to completely change our lives when combined. If this is happening now, then what will be happening in 20 years’ time? “It’s interesting that my generation is so fixated on what sort of phone we have but we don’t even stop to consider what digital disruption is doing to some businesses and what this could mean in terms of the way we live our lives. I believe that when my generation does see what digital disruption is doing they will simply pull a weird face, as they don’t understand it or what it is doing to the world since we will be viewing it from inside the middle of the transition. Then again, digital disruption will offer opportunities for us to look at companies and say ‘I think I can do better than them’. From there we will be able to build businesses taking advantage of other people’s lack of technological understanding. This will help to build a better system for future business. “I believe that once my generation actually sees what is transforming then this world could turn in to a place where lots of different concepts will be used to make our life a lot easier. This entry was posted in Digital Citizenship, eLearning, Technology and tagged Ben Kepes, blog, Connecting with the Community, Digital Citizenship, Education, Information and communication technologies in education, New Zealand, Secondary School, St Andrew's College, Student engagement, Student Voice, Student Work, Technology, Twitter, Yonni Kepes by Sam McNeill. Bookmark the permalink.